Griping About the Rain Today? Here’s Why It’s Not Such a Bad Thing! With only a couple of exceptions, this week is going to make a lot of people clinging to the last gasps of summer very happy. We will see a return to warmer temperatures by the middle to late part of the week and not to spoil anything but next weekend’s weather is looking quite nice for the holiday! Currently these two days look like the only bumps in the road we’ll see as far as warm sunny days. Monday will see a weak upper level trough digging into Colorado from the Northwest, this will shift our winds and allow a bit of moisture to stream into the area. 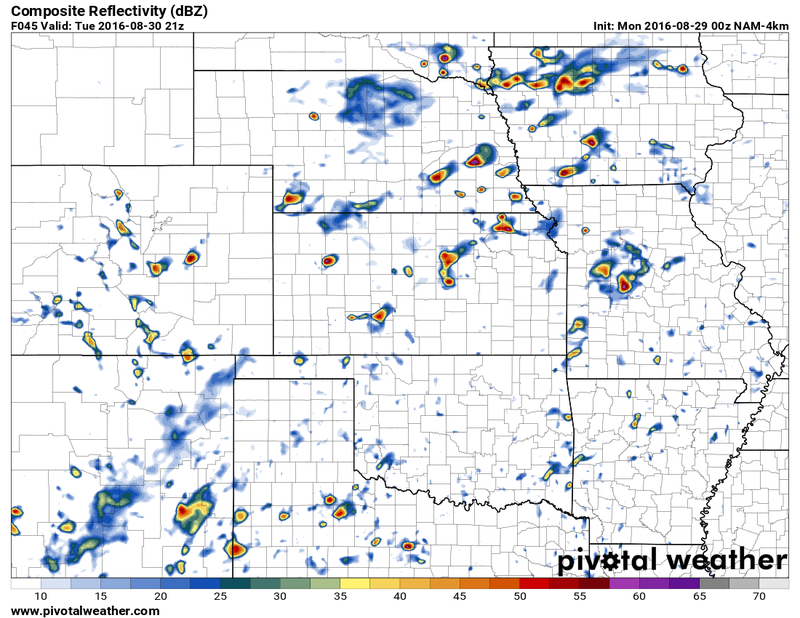 The NAM4K model shows some pretty decent storms firing between the 1-3pm hours and progressing into the early evening hours. 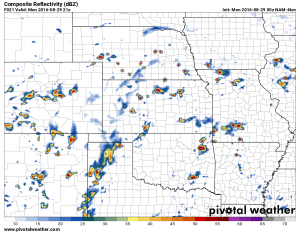 Now this is a model so don’t take the exact locations of these storms as gospel but a look at the area around 3PM shows larger storms firing mainly along the Palmer Divide and points East. The exact positions may end up being further North or South but it’s worth keeping an eye out for storms after about 1PM Monday afternoon. The projected charts with this model also show quite a bit of moisture and instability in the atmosphere with relatively weak steering winds, translation: while storms will be spotty, expect heavy rain, possibly some small hail and little movement until the storms weaken and die off. 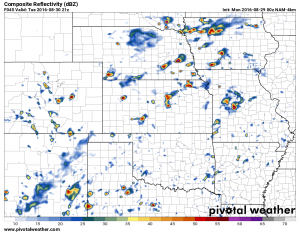 Any one area’s chance of seeing a storm will be around 40-50% so definitely not a widespread event. Tuesday will feature just slightly warmer and drier conditions along the front range as our weak storm system exits the region. 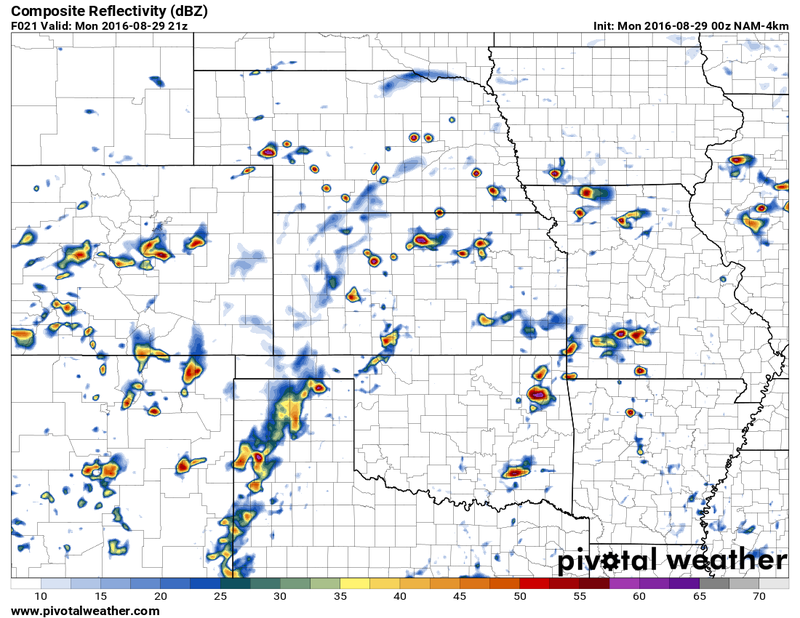 Any residual moisture left behind and daytime heating will be enough to fire spotty storms but the coverage looks overall less impressive than Monday. 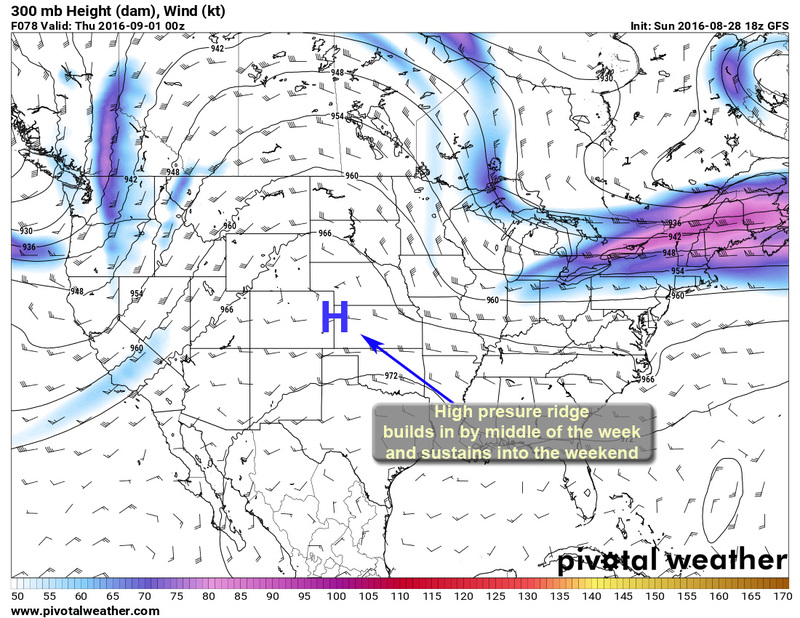 By the middle of the week an upper level ridge establishes across the Central and Western part of the country. Not a particularly strong ridge so we won’t see super hot temperatures but it will help to dry us out and heat us up compared to what we saw the last week or two. This pattern looks to continue into the weekend, being a model things could still change by then but we will update as needed later this week. Mostly sunny becoming partly cloudy in the afternoon. For most folks, fall doesn’t begin until Thursday September 22 this year when we mark the date of the autumnal equinox. 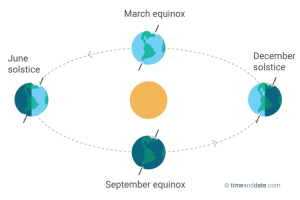 This is the point in Earth’s transit around the sun where the planet is not predominantly tiled towards or away from the sun but is transitioning towards a winter solstice. At that point the Northern hemisphere will be tilted away from the sun giving the Northern hemisphere less daylight meaning less heating. This is why we are so cold during the winter time, contrary to popular belief it is not necessarily because we are further away from the sun during the winter. 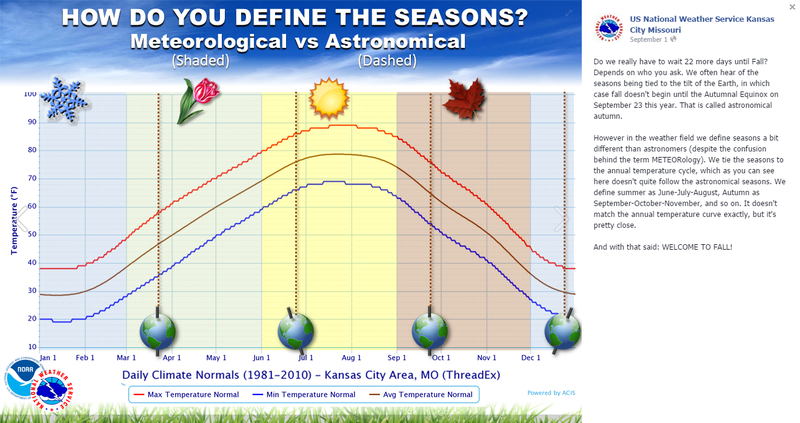 Did you know that Meteorologists don’t mark seasons the same way the general public does? We like to split our seasons into 4 periods of 3 distinct months. For example, we will mark the start of fall on September 1 this year. The main reason that this is done is so that record keeping and statistics can be collected and analyzed for complete months instead of parts of months. It just makes things easier to keep track of from a scientific standpoint. Winter – from December 1 to February 28 (February 29 in a leap year). So for those of you who are just dying for us to move into fall, whether it be you’re tired of the heat or are ready to see snow, or perhaps you just want to see the colors change in the mountains; feel free to celebrate the first day of fall on Thursday September 1 this year with us meteorologists instead of waiting until much later in the month. We promise that we won’t judge!